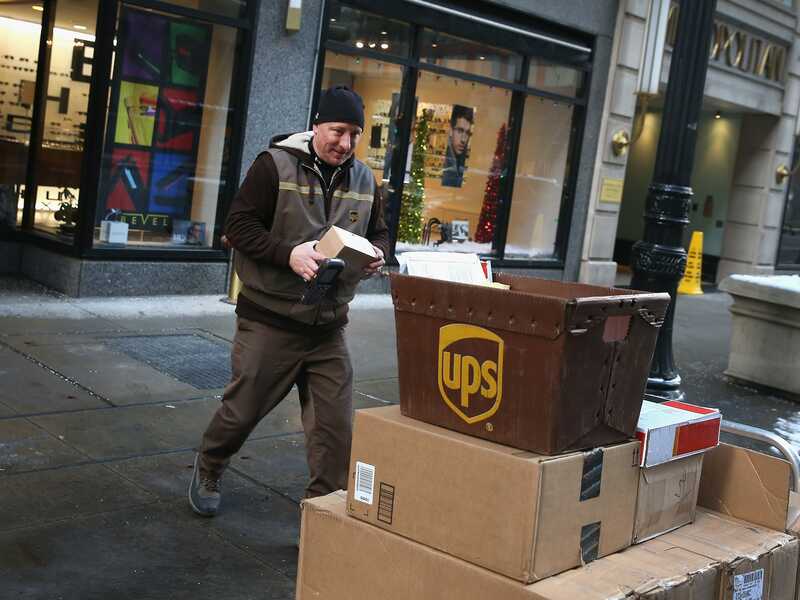 Photo by Scott Olson/Getty ImagesA UPS worker delivers packages on December 26, 2013 in Chicago, Illinois. Bad weather and a higher than expected demand from online sales caused FedEx and UPS to miss many Christmas delivery deadlines. FedEx and UPS spent the last week sparring over the two delivery companies’ NRA ties. FedEx offers NRA members discounts, while UPS delivers items from the guns-rights group’s online store. A group of business experts evaluated the companies’ actions and statements – and say neither brands look good. FedEx and UPS spent the week in a spat over NRA ties that left both brands looking bad. Gun-control activists slammed FedEx for offering NRA members discounts following the Parkland, Florida shooting. FedEx defended itself by telling Business Insider on Tuesday that “the NRA uses UPS and not FedEx” for shipping from its online store. UPS shot back, telling Bloomberg that while it has a shipping deal with the NRA, it doesn’t offer special discounts to members like FedEx does. The squabble took focus away from gun control and made both brands look bad, according to experts. A panel of 21 business experts organised by Drexel University said that both companies failed in the high-profile spat, as neither made their motivations clear. The experts gave FedEx a “C-” and UPS a “B-” for their respective actions and statements. While experts were united on UPS’s moderately bad performance, left-leaning professors gave FedEx even lower grades for failing to take a clear political stance against the NRA. “Overall, these expert opinions suggest that the companies’ reactive stances and public sparring are unlikely to win over much of the public,” Daniel Korschun, an associate professor at Drexel’s LeBow College of Business who served as the lead administrator of the poll, said in a statement. Last week, in the wake of a shooting at a Florida high school that left 17 people dead, people on social media began to pressure companies that offer special deals to NRA members to cut ties with the group. More than a dozen – including Hertz, United, and Delta – have recently done so. According to experts, Americans are increasingly demanding that companies take a stand on certain social issues. However, pleasing every customer is nearly impossible, making it crucial that companies fully articulate their positions. “You’ve got to explain yourself and you’ve got to do it at the right time,” John Paluszek, executive producer of corporate responsibility organisation Business in Society, told Business Insider.